An addition to the Helsinki University campus area in Kumpula. The building comprises communal spaces and more than 200 student apartments. The site is wedged on steep slope between heavy traffic and the faculty buildings. 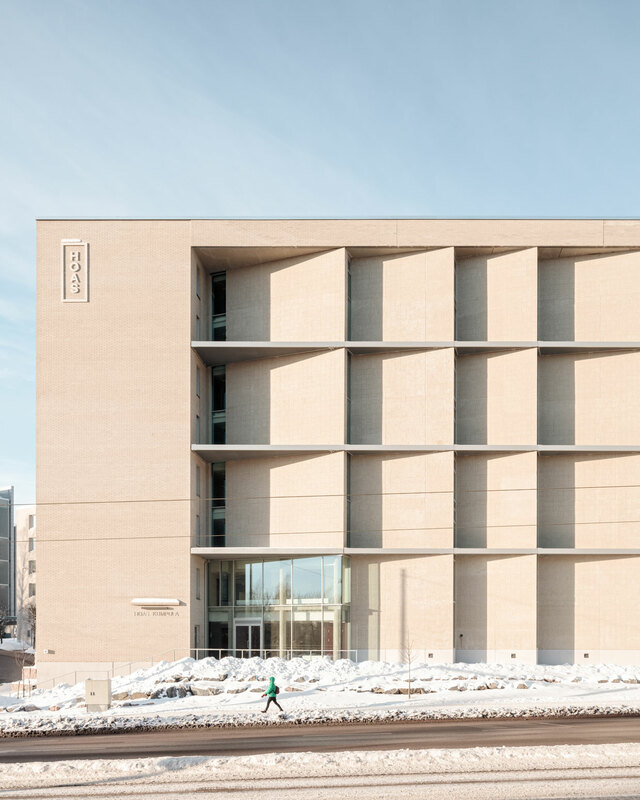 The regular grid of windows and the more abstract street facade of the triangular niches relate to the nature and bigger scale of the University buildings.